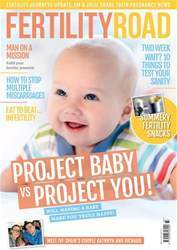 Digital Subscriptions > Fertility Road Magazine UK Edition > 38 May/June 2017 > PROJECT BABY VS PROJECT YOU! 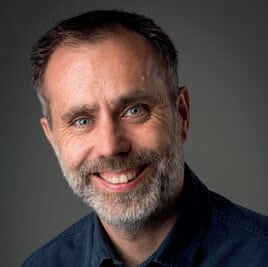 Fertility coach Russell Davis show how changing the way you think about your happiness can help you achieve your dreams of starting a family. Michelle (32) contacted me after her first IVF treatment failed. She wanted to be more positive before trying again, having felt she’d given up a few days into the two-week wait last time. My first conversation with Michelle was to understand her thinking and feelings about her fertility journey, to explore the lens she was looking at life through. Michelle acknowledged she was a thinker and a worrier. She would over analyse situations and likes to feel in control. Of course, she recognised fertility isn’t something you can totally control. This in itself was a source of anxiety and fear. She was anxious about not having children, she had always wanted children from the age of five. She had been successful in her academic and professional career by striving for what she wanted but suddenly this approach wasn’t working for her next goal in life, to have a baby.